Planning a comprehensive South America tour, one that aims to take in several attractions, is usually fraught with much angst, most especially by first-time visitors. Such a HUGE continent, SO many places to see and SOOOO many things to do. Where does one even start?! 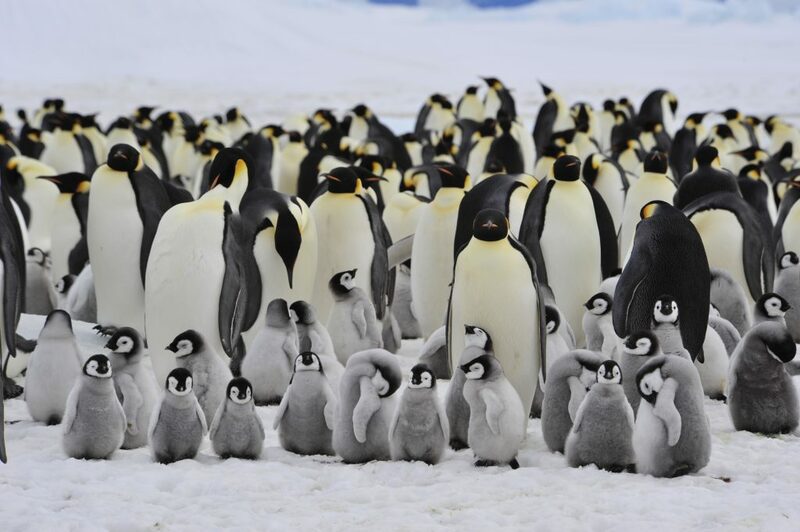 South America’s Big Five attractions are undoubtedly a fantastic starting point for any itinerary. Although, given the colossal distance between them all you may find it difficult to envisage a clear and precise itinerary which can seamless and rather cunningly combine them all. But first things first. Let’s revisit South America’s Big Five, where you’ll discover where we need to head to in order to visit them. Then continue to this guide, which outlines how much time we need to do each one justice. Magical Machu Picchu is the Holy Grail of all South America adventurers, that one iconic site everyone dreams of visiting first and foremost. Remarkable archaeological ruins set in an incredibly picturesque setting, with llamas happily grazing nearby and snow-peaked Andes in the background. Machu Picchu is an immense feast for the senses. How long do you need to visit Machu Picchu? 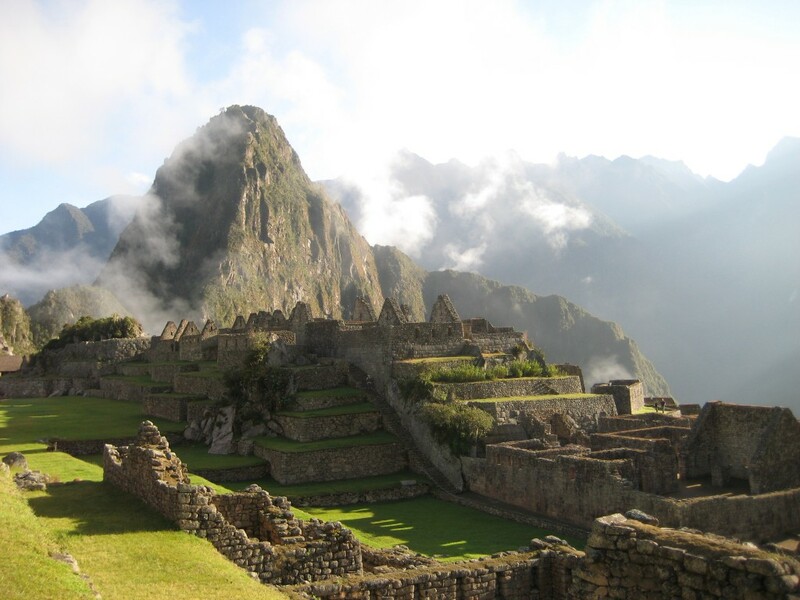 If you wish to hike along the Inca Trail to Machu Picchu, the minimum (safe) amount of time you’ll need is 6 days. A classic Inka Trail hike may take only 4 days, however, this does not account for acclimatization to the high altitude and at least a day to see the sights in Cusco, before tackling the Inca Trail. Altitude sickness is no fun and, aside that, can be quite dangerous if you’re exerting yourself physically, so don’t even consider visiting for a shorter time. If you wish to skip the trek and visit Machu Picchu by train from Cusco, you should account for 5 days. The train ride visit takes 3 days. The first will see you transfer from Cusco to Ollantaytambo – from where you’ll catch the train – the second will be your train ride and Machu Picchu visit, and the third your transfer back to Cusco. One free day on either end will see you wander through the fantastic streets of Cusco. But like all attractions in South America…the more you can squeeze in, the merrier you will be. Accessible by short plane ride from Quito (or the coastal town or Guayaquil), the Galapagos archipelago is one of the most pristine natural treasures still left on our planet. Outstanding landscapes, incredible array of unique wildlife and that ‘way out there’ experience no nature-lover should miss. 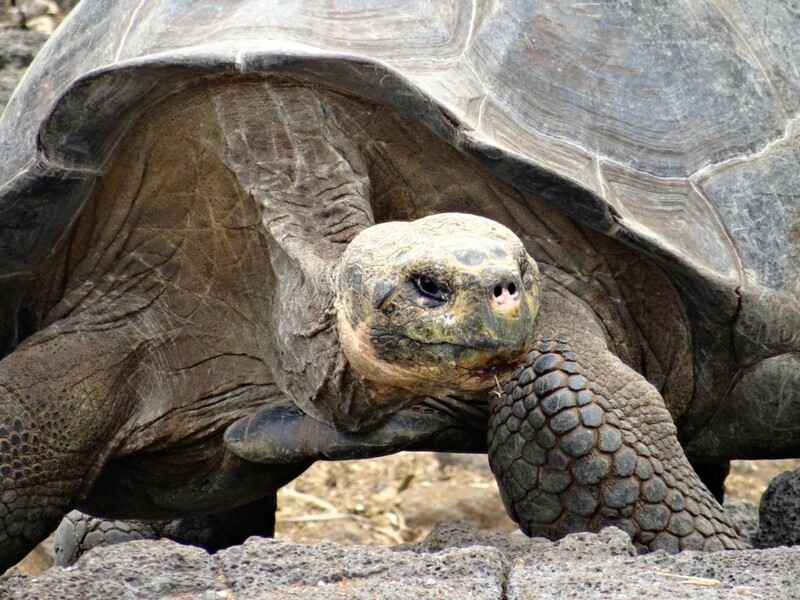 How long do you need to visit the Galapagos? Technically speaking, you could be on the Galapagos for a single day, although anyone who does that would be suffering a colossal waste of time and money, not to mention accumulate much disappointment. So let’s not even consider that option. The overwhelming majority of visitors choose to explore the Galapagos aboard a cruise boat, which sails between islands at night and gives you a whole day at each island for snorkelling, SCUBA diving and hiking on-shore. There are even some great deals on budget options. The most popular options for visiting the Galapagos are 8 and 10-day cruises. The most protected nature reserve on our planet and, along with the Galapagos, South America’s most treasured natural highlight. 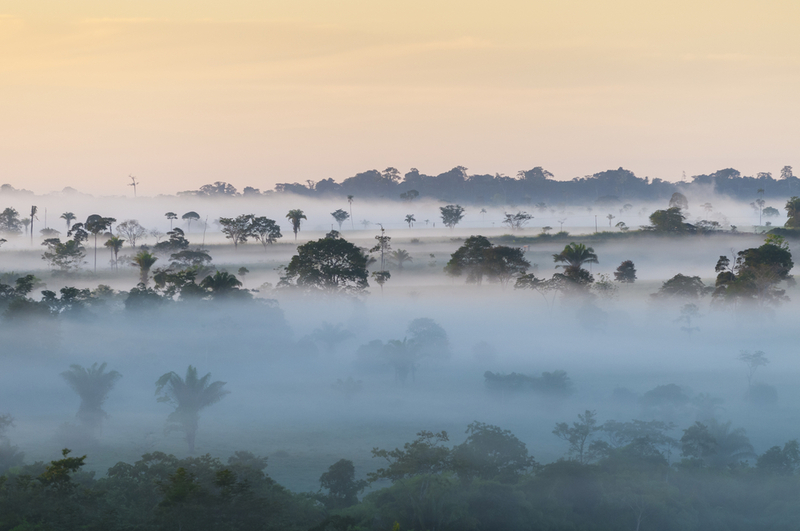 The Amazon rainforest is awe-inspiring in both size and mesmerizing content. Tours into the Amazon can be tackled from four sides: Peru, Ecuador, Brazil and Bolivia. Each destination has its own highlights and logistical consideration. How long do you need to visit the Amazon? The shortest flight from the nearest major city to any one of the above mentioned bases is barely an hour or so, although you’ll need to account for an extensive travel-time if you wish to get immersed in the Amazon jungle. Usually, this involves 4WD and canoe travel from the base town. Generally speaking, the further inland you go, the most pristine and wildlife-rich the jungle gets. Once there, you’ll want to spend at least 3-4 days lost in this incredible wonderland, go on canoe trips and very interesting hikes with local knowledgeable guides, so plan on a one week trip when visiting the Amazon. Thanks to the Rio 2016, the Brazilian metropolis has been at the top of the news for the last couple of months. But now the games are over, most of the crowds are gone…and what you’re left with is a shiny ‘new’ city boasting better infrastructure and a host of added attractions. 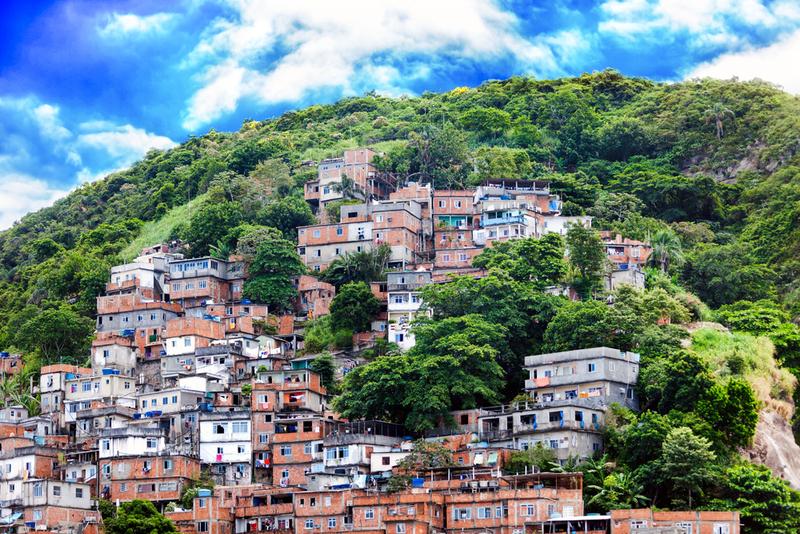 A fantastic city to visit at any time of year, Brazil simply shimmers with delight during the summer months. How long do you need to visit Rio? Rio is bursting with attractions which alone are enough to keep you entertained for a few days. Yet many people make the mistake of filling in their itinerary with only the top attractions, without accounting for the fact that you will need (and crave) some time to simply BE in Rio. To walk along the beach and people watch, to check out the latest local art exhibition you’ll no doubt come across, and to feast in a churrascaria. The last, by the way, should definitely be considered a de-factor major attraction. Anyway, how long in Rio? To really enjoy it and feel like you’ve experienced it? One week! Big and impressive enough to humble a US First Lady all those moons ago, Iguassu Falls are one of those rare world-famous attractions you think you know…until you go. You think you know how you’ll react, you imagine what they will be like because you’ve seen photos your entire life. But let us tell you, nothing prepares you for the overwhelming experience of seeing them first-hand. How long do you need to visit Iguassu Falls? One day at each side of Iguassu is just perfect, and we suggest you factor in a full day to cross the border – from whichever side you arrive – and spend the afternoon discovering the town. IF you can manage a very early flight into Foz de Iguazu (Brazil) then you can arrive, check into your hotel and visit the Brazilian side of the magnificent falls in the afternoon. Next day, cross the border into Argentina and spend the afternoon meandering through Puerto Iguazu. 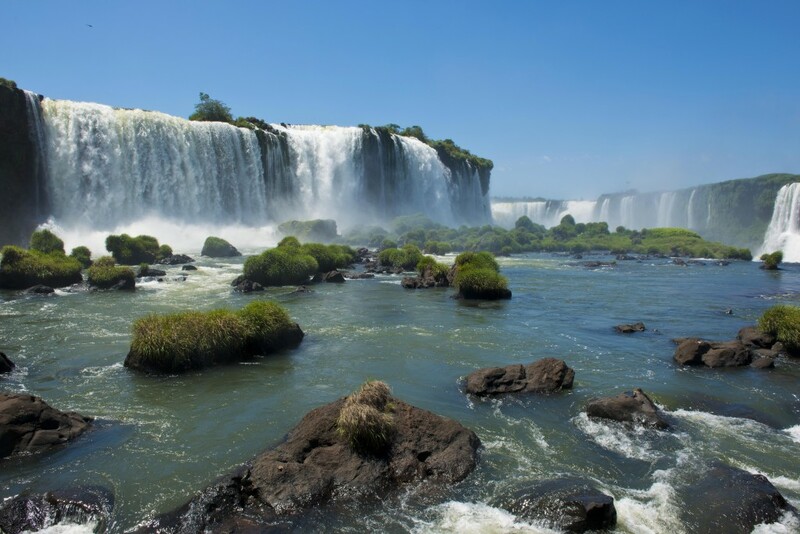 On day three, spend the day on the Argentinian (much more extensive) side of Iguassu Falls, and catch a late-afternoon flight out of Puerto. This will be a little rushed, and you’ll no doubt be exhausted, but if you’re absolutely pressed for time and have unending enthusiasm, three days is definitely doable. A quick overview of time needed, highlights the fact that 5-6 weeks is the minimum amount of time you’ll need if you wish to tick off South America’s Big Five in one hit. That’s because a trip to the Galapagos Islands – much like a cruise to Antarctica – is usually considered an ‘extra special treat’. Many visitors to either destination actually start their planning with that in mind and work other highlights into their itinerary. 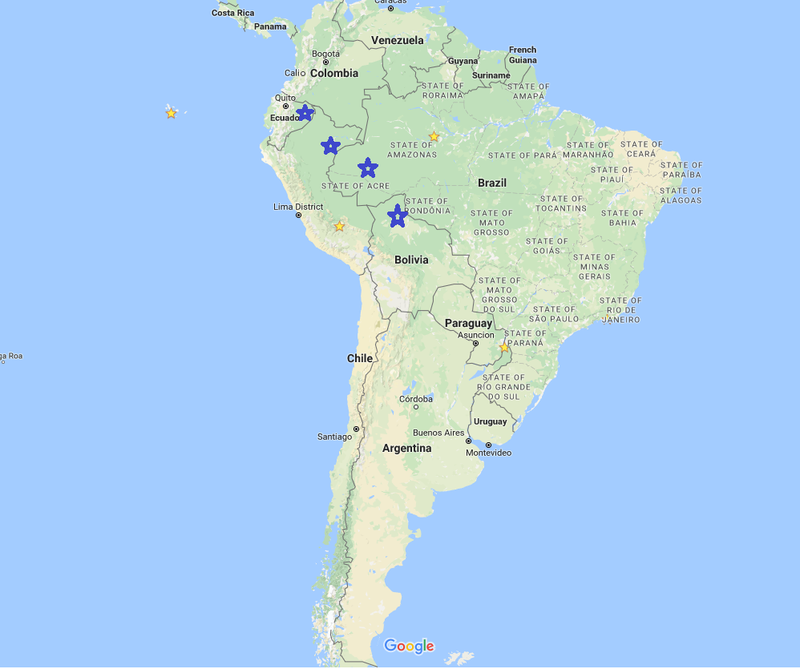 Moreover, it’s worth noting that the Amazon is the most ‘flexible’ destination of all because you have the option of visiting from 4 different locations, in Brazil, Bolivia, Peru and Ecuador. 1) The shortest possible itineraries are ones which include an Amazon adventure either in Iquitos, Peru (there are direct 3.5hr flights between Iquitos and Cusco) or Coca in Ecuador, only a 40-minute flight from Quito. Manaus and Rurrenabaque are glorious places to visit – the latter being a personal favourite – yet need a couple of extra days due to logistical reasons. Manaus is literally in the middle of nowhere (which makes it a superb wildlife destination) and although Rurrenabaque looks close to La Paz, it requires an exhilarating light-plane flight over the peak of the Andes, a 4WD journey and a canoe ride. In essence, a whole rather spectacular day to get in, and another to get out. Both are stupendous and infinitely recommended if you have the time. 2) The ideal entry points into South America, if you wish to tick off the Big Five, are Rio and Quito. Rio because you can spend the first few days getting over your jetlag by, say, paragliding off Corcovado Mountain (there goes your first tick!) and Quito because you’ll need to get here to reach the Galapagos regardless. All other destinations are easily reached via internal flights. Here at Chimu Adventures, we love nothing more than to solve your ‘travel to South America puzzle’! South America’s Big Five, either in one colossally epic journey or several shorter ones. Click here fore more information about South America’s Big Five. This 27 day journey ticks off the 'Big Five' bucket list items: Buenos Aires, Iguazu falls, Rio de Janeiro, Machu Picchu, the Amazon plus the Galapagos Islands.